Have people hurt you, abandoned you, rejected you, and walked away from you? Does your heart still bleed from the sting of rejection? If so, I have a gift for you: my new mini-course, How to Heal from Rejection. It’s all about how to receive healing, help, and hope for your heart in Christ Jesus. You can feel absolutely comfortable making friends, with no fear of rejection. How? God will do it for you when you learn His principles about how abandonment and rejection work, and when you walk through His path to freedom. 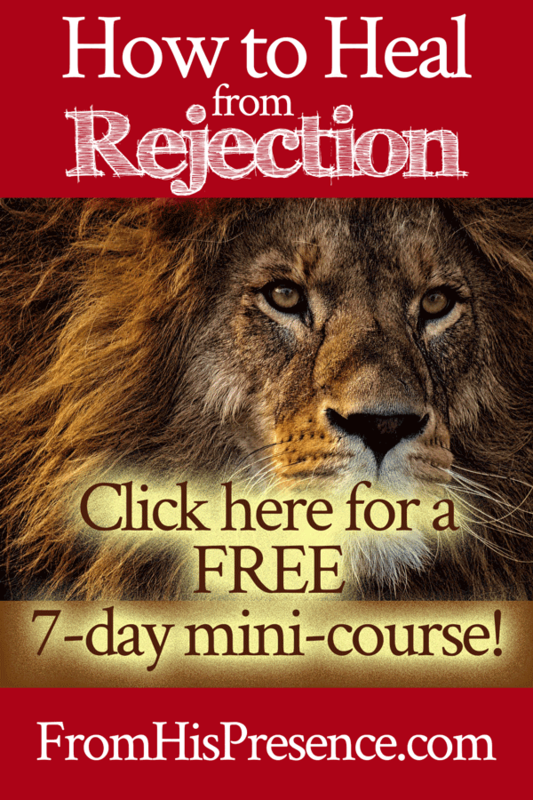 To help you, I have written a 7-day email mini-course that walks you through God’s spiritual and practical steps for healing from rejection. 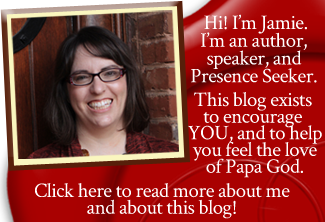 I’m offering this mini-course FREE to our email subscribers. Want to sign up for How to Heal from Rejection? Just complete the signup form below. The first email in the course will be sent to your inbox after you confirm your subscription, and you’ll receive a new course module each day for 7 days after that! It’s all free, and it’s going to bless you! God bless you for bringing up this course. I know it is going to be a relief to me. Yes I thank you for listening to The Holy Spirit , I am going through so much pain right now , I was married for more than 3 decades to a man who was in loved with girl friend from his youth. I don’t understand is why I loved him so much and tried so hard to be the person he wanted me to be but never please him . I really need this. Thank you for this! I really need it, but for some reason I am not able to sign up. I put in my first and last name, and email but there is no where to click after to submit it/enter. I’m so sorry! I have contacted the support folks for the email form and am waiting to hear back. One other person had this same issue too, and I was able to replicate it on mobile! I apologize! I cannot believe the Grace of God. Something incredibly cruel happened to me on Christmas Eve right after our service (I’m a Pastor’s wife). One of our elderly people, whom I was deeply moved to pray for out of compassion, apparently became ‘upset’ because I had done so. He was frail and leaning heavily on his daughter’s arm. I ALWAYS ask if I can pray, but was so moved, I just prayed that the Lord would strengthen his body and his heart. Fifteen minutes later, my husband and I are in our pajamas, when we get a call from his daughter asking us to meet them at the church because ‘she wanted to discuss something’. It took us 10 minutes to convince her to tell us because we weren’t about to go back to the church. She told me how upset I had made her Dad, and that I had no right to pray for him and on and on. I was crushed. To top it off, she kept saying, “I hope I’m not upsetting you, it was a beautiful service.” Really? The next day I sent a letter of apology to the family citing the reason why I prayed and asking forgiveness for allowing my compassion to overcome my judgement. I forgave them in my heart and never gave it another thought, until yesterday. This man died suddenly yesterday right in the middle of doing something on his farm, with his wife. I decided I wasn’t going to attend the funeral, but then discovered that the family chose two prior ministers to perform the service. This was the final straw for me emotionally. My husband is a man of great integrity, and this was such a slap in th face, that I have been overcome with a grief so deep, that I have lost my joy. Today as I cried out to the Lord, He lead me Psalms 61 to 63. My soul hurts. We have felt for sometime that God is going to move us from this church as there have been other incidents, but this ended it for me personally. I have nothing left to give them. Sorry for the length of this, there’s no one I can talk with about this of course. Thanks Jamie, for all you do, and I praise God in all His splendour and majesty and sovereignty for causing you to offer this mini-course. It is the answer to my cries. God bless you. I’m not getting anything in my email when I sign up. Oh Jamie, you have no idea how i am blessed by your blogs!! Thank you for taking the time and effort to bring so much hope, comfort and encouragement to people. May you be abundantly blessed and continually favoured in the mighty name of Jesus?